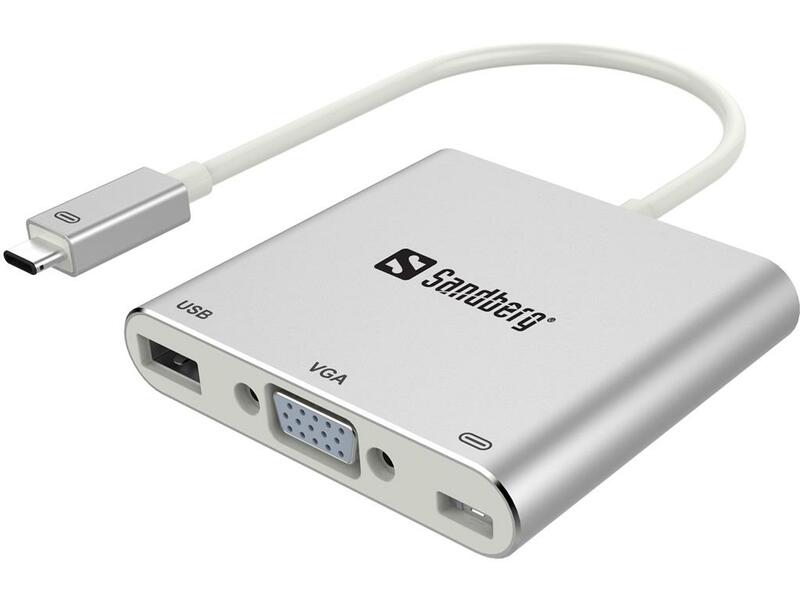 Sandberg USB-C Mini Dock VGA+USB allows you to connect an extra monitor, a TV or a projector to your computer with a USB-C port. In Addition, you get a standard USB 3.0 A port to connect USB devices, as well as a USB-C throughput to connect power. This way your computer can be powered while the dock is connected.